The Book Rat: Bringing Jane to Texas: guest post from Debra E. Marvin! 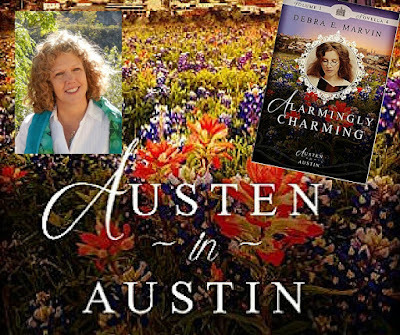 Bringing Jane to Texas: guest post from Debra E. Marvin! The eight authors of the Austen in Austin collection are members of the Inkwell Inspirations blog. Many years ago, we chased the idea of an anthology of novellas as a way to move our writing careers forward—at the time few of us were published. We focused on two genres: Austen or Cowboys, and picked Austen-inspired! We brainstormed ways to incorporate Austen stories into a common setting, even though eight of us wanted to be part of it and Miss Austen had only six published novels. Everything was going well, and with much enthusiasm until one of us remarked that she was much more comfortable writing western settings than Regency. 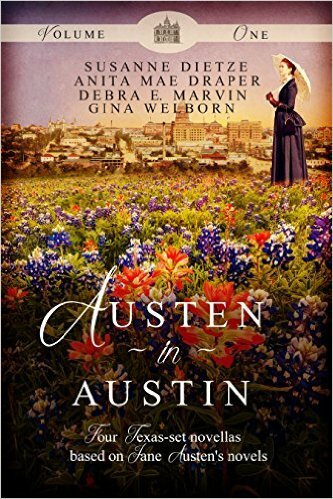 We didn't have to think twice about combining them, and Austen in Austin was born! Finding a home for eight stories from eight new authors was a challenge, and the project stalled. I think we’d given up when WhiteFire Publishing wanted to give it a try. And look how lovely they are! 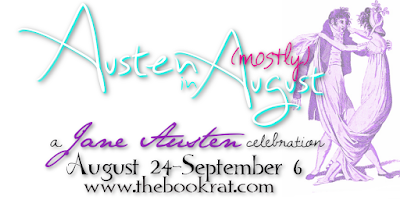 Congratulations Misty, for another great Austen in August promotion! [Interjection from Misty: Thank you, thank you. *flourish & bow*] I’m thrilled to be meet new readers and some old friends here. Tomorrow, I’ll be giving away a paperback copy of Austen in Austin and one of my ebook Alarmingly Charming, so make sure to stick around for that! Volume Two is due out Sept 15. It’s not a prerequisite, but please let me know if you’d like to receive my newsletter*. I only send them out when I have a new release. To promote both books, we’d like to connect with reviewers as well. Please let me know in the comments if you’d like to be involved. Promotional digital copies will be available soon, with priority to those who’ve taken the time to review Vol 1. Readers, do you prefer Austen characters in new adventures, or Austen-inspired characters? Or are you equal fans of both. Don’t incriminate yourself! *If you'd like to sign up for the newsletter, let us know in the comments or on tomorrow's Rafflecopter form, where you can leave your email address safely. Same for if you're a reviewer interested in a promotional copy -- let us know in the comments, or contact me directly, I'll be passing along a list. Please do not leave email addresses or sensitive info in the comments! Debra E. Marvin tries not to run too far from real life but the imagination born out of being an only child has a powerful draw. Besides, the voices in her head tend to agree with all the sensible things she says. 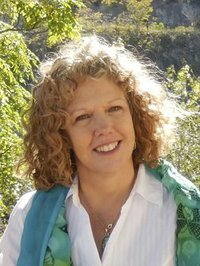 She is a member of American Christian Fiction Writers, Sisters in Crime, and serves on the board of Bridges Ministry in Seneca Falls, NY. Her published novellas include, “Alarmingly Charming” in Austen in Austen Vol 1 from WhiteFire Publishing, “Desert Duet” and "Starlight Serenade" from Forget Me Not Romances, after many unpublished contest successes including two finals for the Daphne DuMaurier award. Debra works as a program assistant at Cornell University, and enjoys her family and grandchildren, obsessively buying fabric, watching British programming and traveling with her childhood friends. How I love to see that cover on your blog, Misty! We had a great time working on this collection and readers often comment on how much they liked the way characters moved from story to story over a ten year period. I fell in love with Austin as well. We're promoting Volume one this month because volume two is coming out Sept 15. Readers, Please let us know if you'd like to be involved in the promotion or reviews! How fun! I enjoy retellings in new settings, because it seems like a creative challenge for the author (like, how do you do gothic in any setting outside of when gothic was at its peak?). All of those sound interesting and fun, and I can't wait to check them out! Oddly, I think Mansfield Park works the best in any setting, and probably Northanger Abbey is the most difficult to pull off (especially in modern day, given parental expectations and our attitude toward teenagers). I don't think I have a favorite setting, but being limited by the constrains of an actual historic period makes it slightly more rewarding (assuming the author has done their research). Futuristic settings seem like modern day with gadgets, so....yeah, probably any historical era in the past (including before Austen's time). I had a challenge with my Northanger Abbey heroine, but ended up loving her. She's kind-hearted, enthusiastic, unsure of herself and a complete bookworm. I chose it because it was Jane Austen's parody of Gothic and I love the gothic feel! Thanks for commenting, Beth. I hope you get a chance to read our stories! Oh yay glad the second volume is coming out soon. I had the privilege to read Alarmingly Charming. It was a sweet one, Debra. Hey Sophia! Great to see you, and as a reviewer for Vol 1, your name will be on the list for Vol 2. Wow, you have some great ideas for settings. I give the fan fiction authors a lot of credit. I just don't want to try my version of Darcy and Elizabeth. It was so much fun to write an Austen inspired version of Northanger Abbey! Honestly, I don't think I have ever read a retelling set in Texas but I am extremely intrigued by the prospect. This sounds like a really fun read. I personally don't care so much about the setting as long as the characters are the same. With that being said I have liked a lot of Austen inspired works. I guess it depends on the story. These tales don't use the actual Austen character, but new characters based on the heroines, heroes, and plots of Austen novels, with a fair amount of homage to the great lady herself! Both are a lot of fun to read. Loved the taste thank you. Hi Mary! I agree. I think it's fun to read something like ours and look for the similarities while being entertained. I hope readers occasionally forget the fact it's Austen inspired, because they are deep into these new stories! I like Austen-inspired characters and even though I like a lot of time periods, I do like reading about the past in colonial days. I do like futuristic stories too! Thank you for your post and the contest!